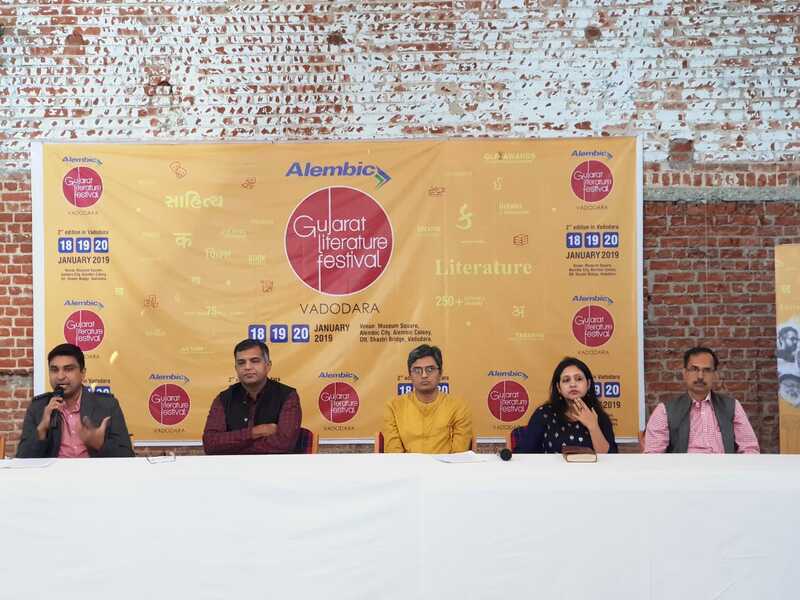 Inaugurating its sixth season, Gujarat Literature Festival comes up with its second edition of Alembic Gujarat Literature Festival in Vadodara in January 2019. 18, 19 and 20, 2019. Spread over three days on 18 19 and 20 this year the festival comes up with first ever Indian Screen Writing Festival, Fountainhead dedicated for non Gujarati languages and many more. This year multiple festivals will be running inside the main fest. Curated specially for Vadodara the second edition of GLF here has more excitement and unique events lined up for literature loving people of Gujarat. and activities packed for the young audiences of the entire state of Gujarat. Before the festival opens up on January 18, there will be workshops related to literature, writing and other interesting learning opportunities for the youth. In addition to the signature GLF events featuring the who’s who of Gujarati literary world, GLF brings to Vadodara some of the bestselling national authors, leading screenwriters from the Hindi Film Industry and performers for eveBinlg, entertainment events. Starting with first of its kind festival for the screen writers where wide range of people will interact and conduct workshops with the participants. Screenwriters Association of India (SWA) the apex body of screenwriting in India and GLF together designed and curated the first of its kind ‘lndian Screenwriting Festival’ inviting a range of writers, lyricists, directors to Vadodara and discuss different currents of film, TV series and Web series writing and story-telling. Some of the participants include Bhavani lyer Screenwriter of film Black, Guzaarish, Raazi, Lootera, Jyoti Kapoor Screenwriter of Badhaai Ho, Daawat-E-lshq, and Good News (Upcoming Akshay Kumar-Kareena Kapoor film), Bhavesh Mandalia Screenwriter of Oh My God, Be Yaar, Hindi Medium 2, Niren Bhatt Screenwriter (Be Yaar, Ventilator, Wrong Side Raju and TV show Taarak Mehta ka Ulta Chashma. Niren is also lyricist with 16 films, Sumit Arora Stree, Selection Day (Netflix series), Sriram Raghvan Writer and director of Ek Hasina Thi, Johnny Gaddar, Andhadhun, Badlapur, Ishita Moitra Ragini MMS 2, Half Girlfriend, Mere Dad Ki Maruti, Amazon Series: 4 More Shots, Hardik Mehta Screenwriter Trapped, Screenwriter-Director Kaamyaab (upcoming film), Screenwriter JamunaPaar (upcoming Amazon series), Anjum Rajabali Rajneeti, Satyagrah, Ghulam, The Legend of Bhagat Singh, China Gate, Robin Bhatt Screenplay writer of 71 films including Baazigar, Chennai Express, Koi Mil Gaya, Omkara, and many more. This season, GLF also launches Fountainhead a dedicated festival within festival for non-Gujarati languages. This section will host sessions in Hindi, English and Marathi languages in Vadodara this year. GLF has hosted sessions in Sindhi, Urdu, Rajasthani, Malayalam and Bengali over the last five years. 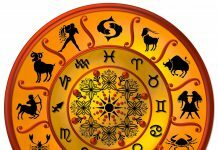 Some of the speakers at Fountainhead this year are Divyaprakash Dubey who will be in session as well as perform his signature ‘Storybaazi’, food critic and historian Pushpesh Pant, Journalists Rajdeep Sardesai, Sagarika Ghose, Sheela Bhatt and Nishtha Gautam, Sufi- electronic music performer Kanishk Seth and many more. 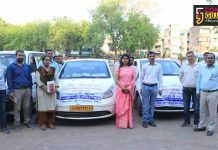 The fest will showcase young talent of young Gujarati writers and poets apart from the senior and veteran Gujarati literatures participating in the second edition. Some of the Gujarati speakers at the festival are veteran writer Madhu Rye, poet, playwright and film-writer Saumya Joshi, writer and most popular public speaker Jay Vasavada, writer and screen writer Kajal Oza Vaidya, poet and essayist Bhagyesh Jha, Vadodara’s very own poet Mehul Devkala, Gujarati novelist Dhruv Bhatt and film maker Dakxin Chhara, young creative writer Raam Mori and many more. Specially designed ‘Tabariya’ GLF’s Children Literature Festival will see its second edition this year. The space is to attract young children to literature, appreciate arts, and soak in the joys of linguistic expression. Tabariya this year brings many more interactive sessions and workshops where GLF calls of entries of children in the age group of 10 to 14 for a writing workshop and to learn writing a book. This workshop will be conducted by an expert writer and educator. Started in Season 5 at Ahmedabad, GLF Awards are a unique set of recognition for several nuanced aspects of literature world that have never before been formally awarded. In keeping with GLF’s philosophy of literature sans mediums and platforms, the awards recognise excellence in writing books, films, digital, editing, translation, designing, proofreading. The first edition of the awards was held in Ahmedabad and presided over by Chief Minister of Gujarat Vijay Rupani. These awards are not the reserve of wellknown authors but a platform to award new and upcoming writers.